Jordan Brand made sure that they will end the first month of 2014 with a lot of noise as they released interesting models, including the latest colorway of the Jordan 6 Rings. 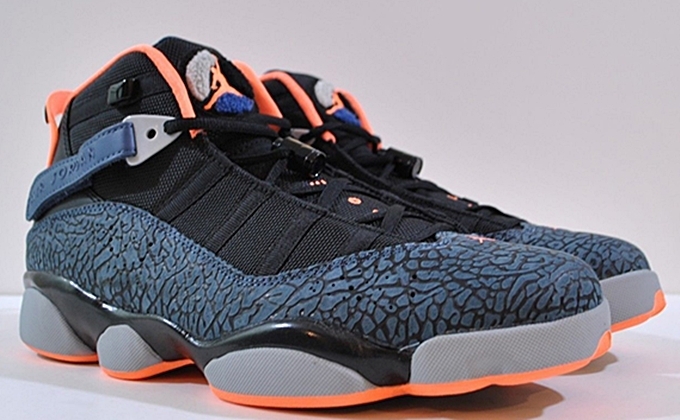 Now available in the sneaker market is Black/Atomic Orange-New Slate-Wolf Grey colorway of the sneaker, which is dubbed as the “Charlotte Bobcats” edition of the shoe as it features the team colors of the Michael Jordan-owned NBA team. This could some sort of a tribute to the team before the franchise reverts back to its old “Hornets” nickname starting next season. Make sure to check this impressive-looking shoe in selected Nike retailers.